​What makes us a unique operation? When you hunt here, you are not “buying birds”. You are investing in a high quality outdoor sporting experience. Just imagine...Your own private hunting ground, managed exclusively for wildlife and you. ​Teeming with the likes of Ringneck Pheasant, Bobwhite Quail, and Chukar Partridge. An eager birddog (if you don't own one) and friendly staff are awaiting your arrival. Join in the camaraderie and tell stories of your hunt at the days end where a spacious clubhouse with a crackling fire and the aroma of freshly brewed coffee await your return. Come to where hunters dreams come true. ​Reserve or Guide your next hunt. Oct. 1st -- Apr. 15th. 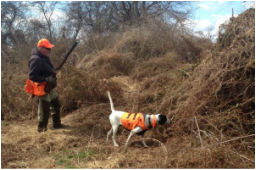 Hunters must possess a NJ Hunting License. Single Day Passes Available. 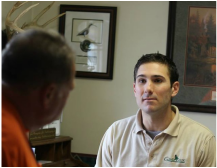 Become a Game Creek Hunting Farms member & start enjoying exclusive member benefits today!